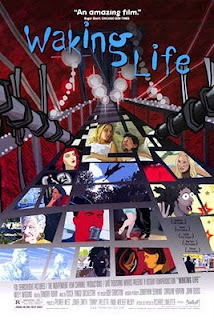 Waking Life might be a film, but it might also be a dream. Or maybe a dream about a film, or, if you want to be blunt: a film about a dream. Mostly, Waking Life is an experience that will change your life. Wake up your dreams, so to speak. Some people I've shown this too are still bringing it up in conversation, years later. Others couldn't focus, and left before it was even half way through. It's basically a piece of art: Either you think it's the most amazing thing you've ever seen, or you can't understand why anyone would voluntarily watch it. If all this sounds like a bunch of new age mumbo-jumbo, it is just because you haven't seen the film yet. Really, it does something to you. There's too many good things to say about director Richard Linklater to even start naming them. But going through his filmography one by one will not have you bored. Waking Life is not a bad place to start.